The Republic of the Seychelles consists of more than 100 small islands in the Indian Ocean off the coast of Africa. The island nation is a popular tourist destination, blessed with gorgeous beaches, lovely weather, and warm, welcoming people. The nation owes much of its cultural diversity and economic development to a past that includes French settlement followed by British occupation, and even earlier to a time when the islands were known to Arab, African and Indian traders. Much of the country’s charm lies in its multi-cultural heritage. The great majority of the population is of East African and French descent. There are also small Indian and Chinese communities here. The influence of all these cultures can be seen in the architecture, the food, the music and the language of the islands. Seychelles gained its independence from Britain in 1976. Some years earlier, the government conceived plans to develop the island’s tourism and opened the country’s first international airport on Mahé, the largest of the Seychelles islands. 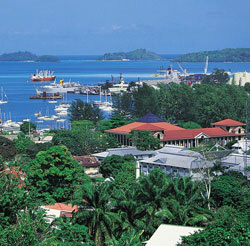 The efforts were successful, and the tourism boom in that decade brought Seychelles to international attention. The Seychelles is a popular destination for fishing, diving and eco-tourism. French colonial plantation houses symbolize the islands’ past, but with tourism aimed to boost the country’s GDP, more modern buildings with international appeal have risen. English is the official business language, though French is still in use and Seychellois Creole is spoken by most of the population.